Yaquina Bay Bridge is located in Newport, Oregon. The sky is made from rose quartz and the water is blue quartz. 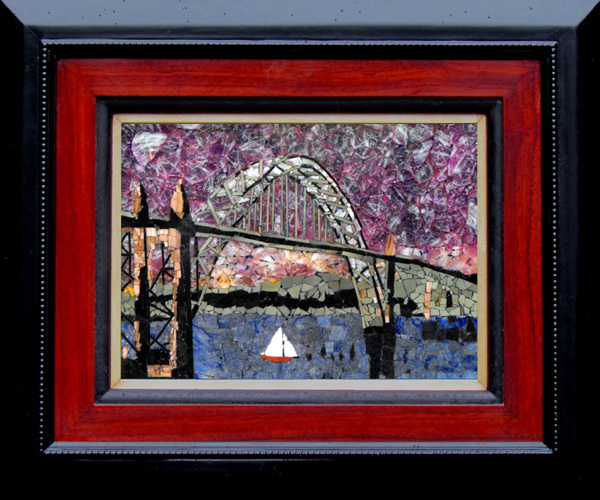 The wood frame is handmade with a mat of Padauk wood which highlights the red within the scene.